Non-resident Indians (NRIs) are now able to purchase mobile gift cards to send back home, as the Indian Government begins demonetisation process. 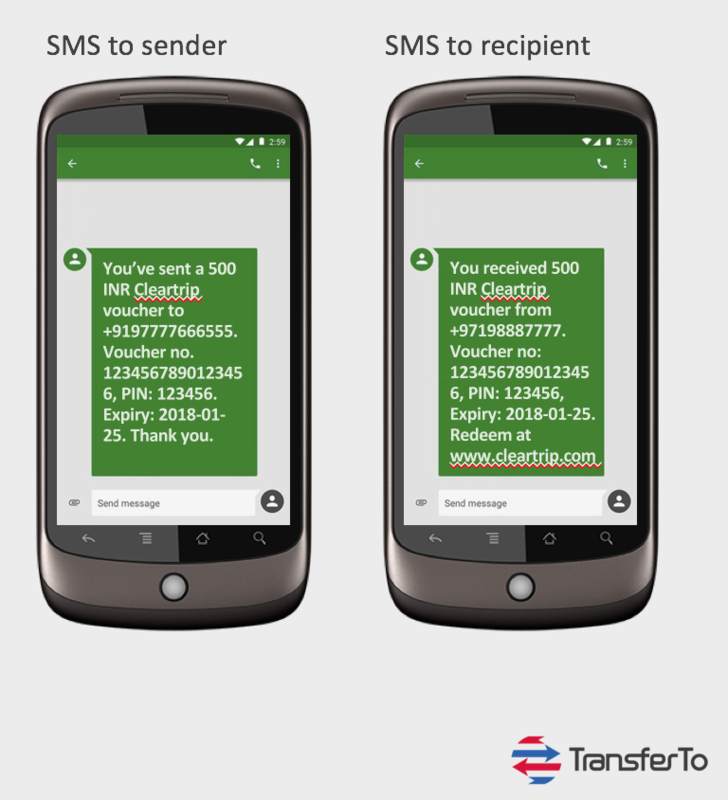 TransferTo, a leading Cross-Border Mobile Payments Network, has partnered with Qwikcilver, a pioneer of pre-paid retailer gift cards in India, to enable the Indian Diaspora, living outside of India, to send digital gift cards back home to their families. People remit money for a multitude of reasons - mainly to support family back home - and remittances currently represent a large source of income across India. In fact, India is the world’s largest inbound remittance recipient, attracting USD $69 billion in 2015. So to ensure its citizens live in a transparent society, the Indian government has now started taking action to move the country through a total demonetisation process. This means all payments across the country will eventually move to digital, and in many cases, straight from cash to mobile wallet. These gift cards will help support India’s plans to go cashless and provide secure monetary transactions for both the sender and recipient. They are a very convenient way to treat loved ones back home with money to spend on some of their favourite brands and act as a great complement to cash transfers. On top of this, digital gift cards provide total transparency, giving the sender full control on how the money will be used. TransferTo will play an instrumental role in the distribution of the gift cards to its network of worldwide partners, with the initial launch focusing on the Middle East - home to one of the world’s largest Indian Diaspora populations. Vouchers can be redeemed across Qwikcilver’s vast network of over 150 leading brands across India, such as Bata, Big Bazaar, KFC, Pizza Hut and BookMyShow. Credit can be purchased online for the preferred brand, and a confirmation SMS will then be sent directly to both sender and recipient. The recipient can then use the digital PIN provided to redeem the vouchers and enjoy their gift. Sadiq Ahamed, Chief Strategy Officer at Qwikcilver commented, "Gifting forms one of the most important sources of remittance to India. Gifting through gift cards will soon become the most convenient way for NRIs to gift to their near and dear ones in India. This partnership will allow us to leverage TransferTo's vast network to enable this unique use for gift cards." The official rollout of the gift cards is taking place across April 2017. Qwikcilver is an Enterprise SaaS Technology Product company that has evangelised and pioneered the Gift Card Industry in an organised Indian Retail sector. The company currently commands 90% share of Gift Card market in India. It has also grown to support brands and retailers in new markets across Middle East and Southeast Asia.